The top 40 public OpenSim grids gained more than a 1,000 new regions since this time last month, propelled partly by low-cost cloud-based regions from a new hosting provider, Kitely. There are now a total of 14,566 regions on these grids alone, an increase of 8 percent since this time last month. Total users increased 3.7 percent to 183,896, a gain of 6,595 new registered users. These totals do not include numbers from the SpotOn3D grids, which did not report their results this month, so actual grid region and user totals may be higher. These numbers also do not reflect land and users on the hundreds of private OpenSim grids run by schools, companies, and individuals. Meanwhile, the two top commercial grids, InWorldz and Avination, seem to be leveling off after their recent growth spurts, with only moderate land gains this month. Kitely led all the charts this month, gaining the largest number of new regions. 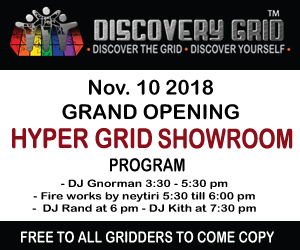 The grid, which launched its public beta just three weeks ago, gained 530 new regions to become the sixth-largest grid running on the OpenSim platform. The grid also gained 636 new registered users, 392 of whom were active this past month. Kitely’s regions are “on demand” — they are stored away when nobody is using them, at a low, cloud-based storage cost of just $0.10 a month. They are instantly activated when people visit them however. Customers are charged for every minute that users are on their regions, at a rate which works out to $0.20 per user per hour. This makes Kitely a great deal for people who want to have a lot of land to build on, or schools and companies who need a virtual environment for occasional meetings. Although Kitely is the first major grid to be fully based on the Amazon EC2 cloud, the idea isn’t new to OpenSim hosting providers. PioneerX Estates, for example, uses both a private cloud and the Amazon cloud for its hosting. PioneerX provides white-label grid management services and counts grids like 3rd Rock Grid among its customers. SpotOn3D also uses the Amazon cloud to handle large events. In fact, any grid can use the Amazon cloud to off-load either rarely-used regions, or to handle sudden spikes in traffic, and customers can expect to see land prices drop as hosting providers make this feature more widely available. Going fully cloud-based wasn’t Kitely’s only innovation, however. The hosting provider also eliminated most of the effort that new customers have to expend to create new regions. Instead, users sign up with their existing Facebook accounts — more login options will be available in the future — and can have a new region up and running in less than two minutes. Most grids today typically take between a couple of hours to a day to set up a new region since they need to provision additional servers. Automated grid management platforms like PioneerX speed the process up a bit — a new OpenSim virtual server takes about 20 minutes to set up in their system, with no manual intervention required by the grid operators. Kitely lags behind other commercial OpenSim grids, however, in that it does not have voice or in-world currency or groups enabled yet. In addition, because of the way the grid is set up with Amazon, users can’t teleport from one region on the grid to another. 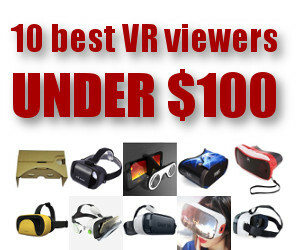 Instead, they have to close their viewer, go to the Kitely site, and select another region to visit. Users also can’t walk or fly between regions, or search for regions on the grid. As a result, the platform is a better fit for groups and individuals looking for private islands, than for those looking for a rich social experience. Avination gained the most users this month, with 4,861 new registrations. The grid only gained 36 regions, however, after growing quickly since the start of the year. Avination held on to its spot as the second-largest OpenSim grid, with 1,163 total regions. Avination was in first place by active users, however, with 4,861 people logging in this month. Avination growth levels off after a winter boom. 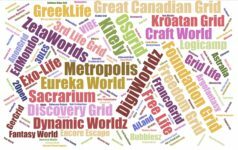 The third-largest grid, InWorldz, celebrated its second birthday this month, and retained its third place position by land area, with a total of 857 regions. The grid also gained 1,932 new registered users this month. InWorldz does not report active user counts. OSGrid, the largest public grid, gained 445 new regions, for a new total of 6,521 regions. The grid also gained 1,335 new registered users, with a total of 59,525 people now with accounts on the grid. 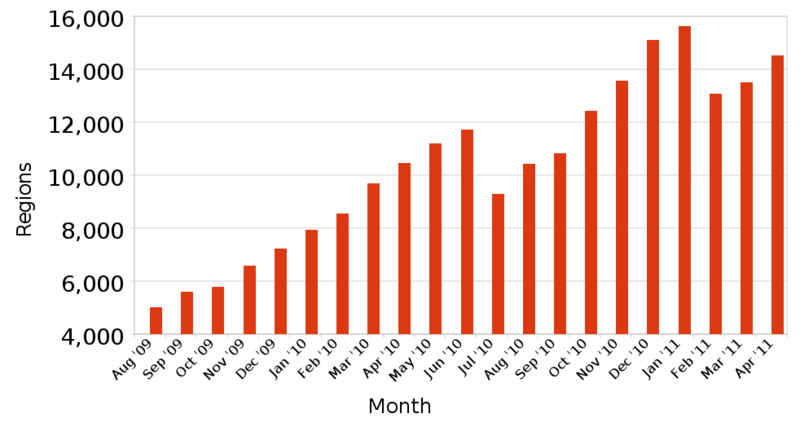 It was the second most-active public OpenSim grid this month, with 3,508 active users. Commercial grids like InWorldz and Avination don’t allow home-hosted regions in order to ensure that regions are up and running, and perform well. In addition, regions hosted at home allow region owners to make backups of the region and of their avatar inventories. Commercial grids, in order to protect content, typically don’t allow such backups since they allow users to take objects off-grid, to potentially distribute them elsewhere. Virtual Worlds Grid is offering free land to educators. This offer includes private tutors who need regions in OpenSim to meet with students, grid owner Myron Curtis told Hypergrid Business. In addition, all Kitely land is currently free as well, while the service is still in beta. At Hypergrid Business, we focus on the top public grids because they report their statistics — and because anyone can log in and check whether the regions are actually there, or whether the users who are supposed to be logged in are human or bots. 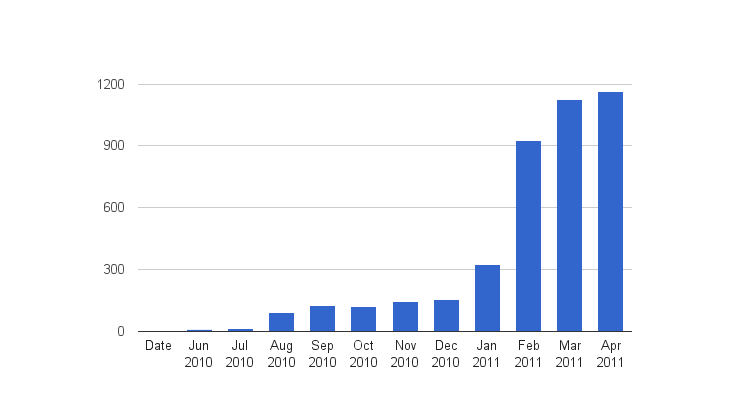 But much of the OpenSim growth is happening privately. ReactionGrid, SimHost, PioneerX Estates, Dreamland Metaverse and many other vendors offer private, white-label grids for schools and enterprises looking to create a safe, secure environment just for their students or employees. 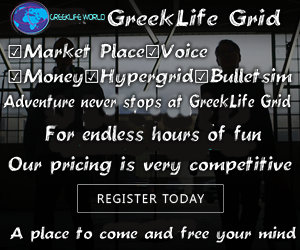 These vendors, combined, are now running more than a hundred private grids for customers. In addition, organizations with in-house technical skill can create a grid on their own, since the OpenSim software is free. OpenSimulator.org does not track downloads of the software, so we can’t get numbers about how many people are downloading the software. However, there is one popular version of OpenSim — the Diva Distro — which does track downloads. 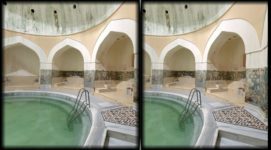 The Diva Distro is a pre-configured four-region, hypergrid-enabled, no-border-crossings minigrid. 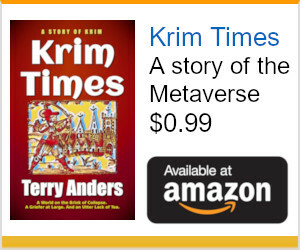 It has been downloaded 534 times in the past month, for a new total of 5,234 downloads, a month-over-month increase of 11 percent. This does not mean that there are 534 new OpenSim grids — a single download could be used to set up multiple grids, or might not be used at all. 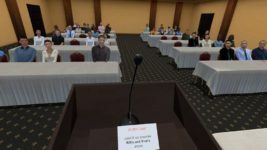 Another OpenSim distribution is Ener Hax’s Sim-on-a-Stick, which can easily be installed and run from a USB stick — and has reportedly been downloaded more than 1,000 times. Meanwhile, Second Life continued to shrink, losing 76 regions since this time last month, for a new total land area of 31,426 regions, according to the latest data from Grid Survey. We are now tracking a total of 133 different publicly-accessible grids, 73 of which reported their region counts this month. SpotOn3D did not report numbers for either the SpotOn3D or its Veesome grid.